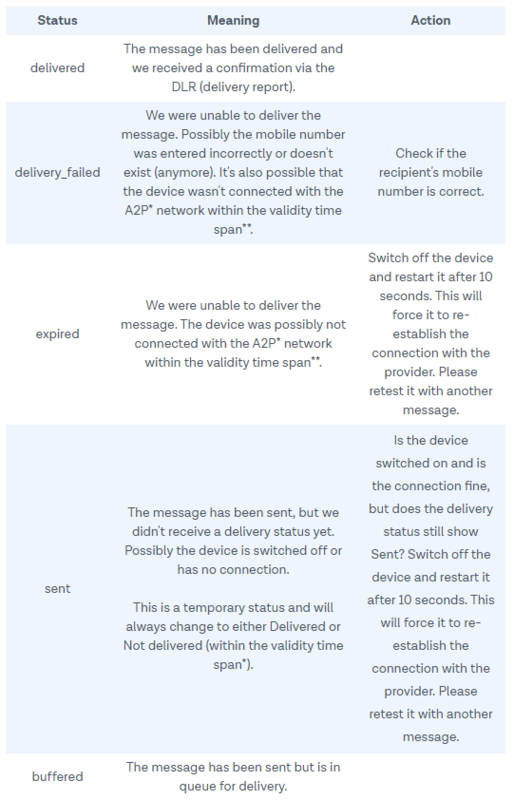 After sending a message, its delivery status will be visible within the SMS Transactions of your Amplespot account. The table below shows you the different statuses, their meanings and the actions you can take to solve any issues you may have. * A2P is Application2Phone, or in this case from Amplespot to your client. ** Validity time is the validity of the SMS which varies depending on the type of SMS message. Login-related SMS has validity of 5 minutes, coupon or promotional - 72 hours.